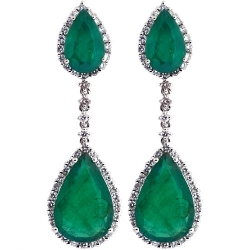 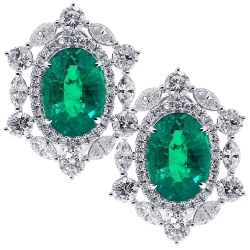 Adorn yourself with a jewelry absolutely stunning as you are! 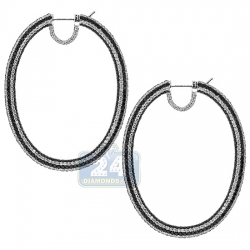 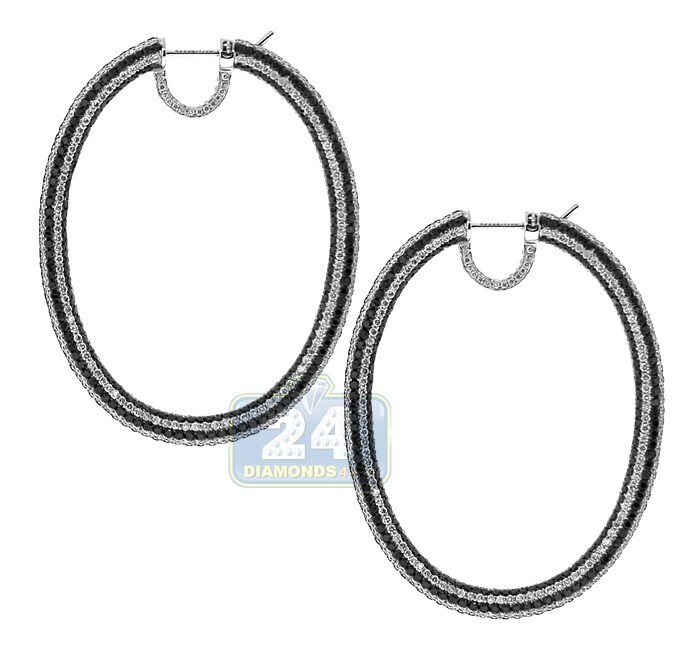 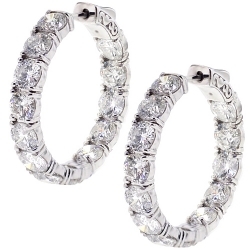 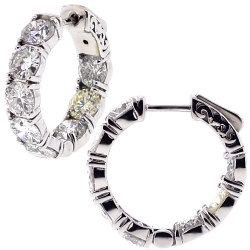 Our women's oval hoop earrings are made of cool 18k white gold, and highly polished for shimmering look. 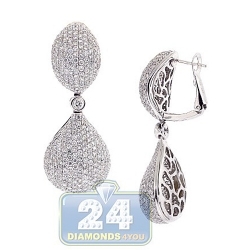 Maximizing shine comes from impressive combination of glittering 17.35 ct total weight round brilliant-cut diamonds of white and black colors. 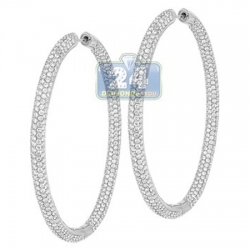 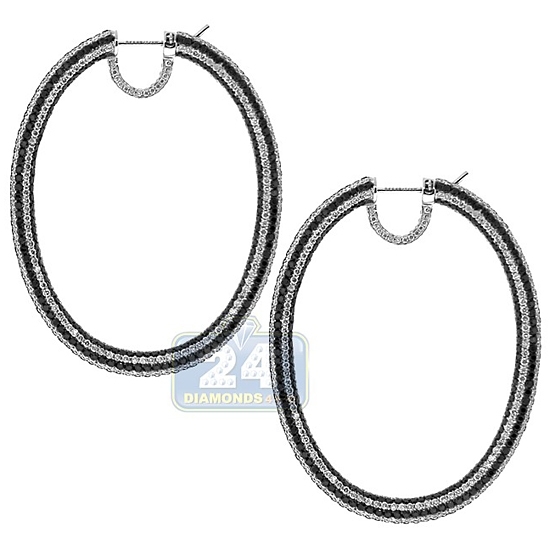 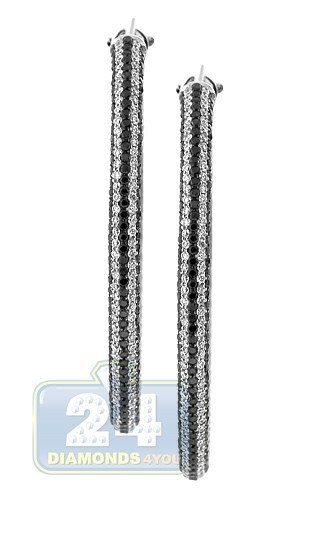 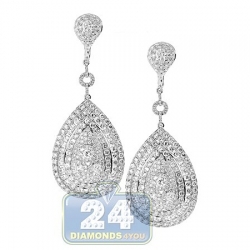 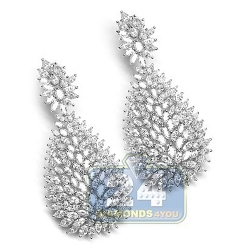 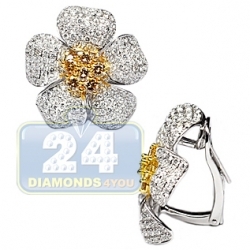 Add a dose of chick effect to your look with these diamond oval hoop earrings!